Pin HERE or with the image above. One of my favorite things to make is shawls. I make actually too many of them. They're just so versatile, going from modern and casual to dressed up or even Jane Austen-esque. Honestly, I make too many. They're all crammed into an old records box that's pretty close to overflowing. I've decided to round up 8 free shawl patterns so you can start your own collection. Click on the name of the pattern to view it. 1. Lizard on Ravelry. I've made this shawl at least four times. It's fast, beautiful, and perfect for just about anybody. You will need a Ravelry account but it's free and there are so many great patterns on Ravelry. 2. 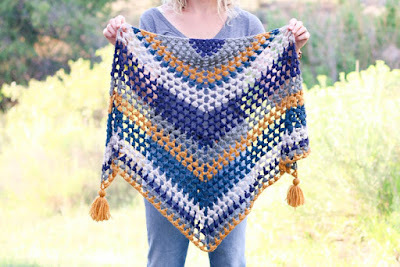 Fortune's Shawlette on Moogly. This is another one of those shawls I've made multiple times. It's such a unique take on c2c! It also comes with a matching wrap and hat. 3. 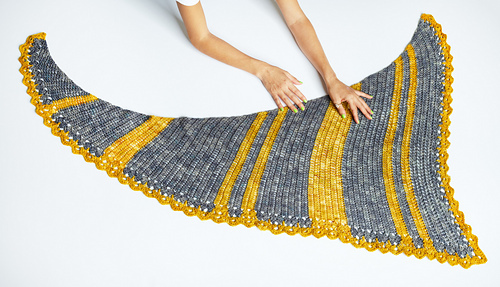 South Bay Shawlette on Lionbrand. (This will take you to the listing. 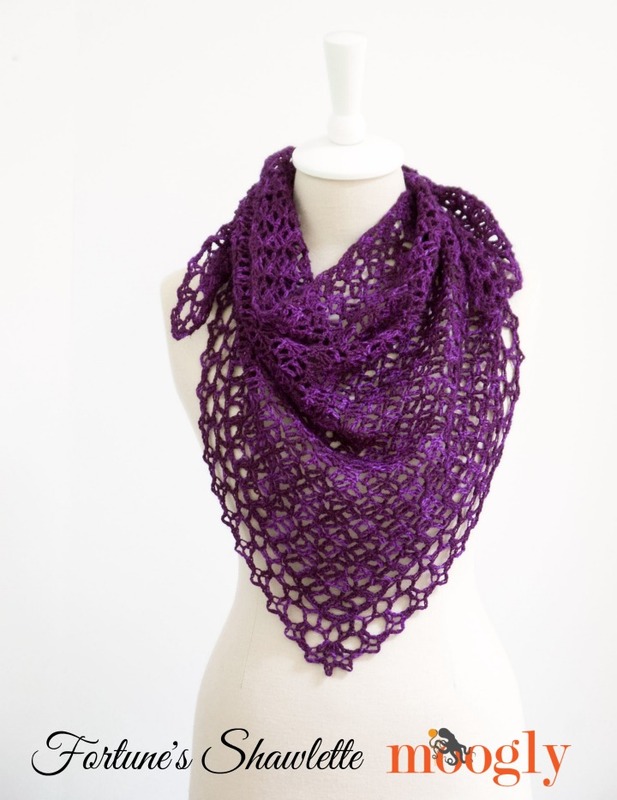 Just click through to the free pattern PDF) I absolutely love how lacy and delicate it looks! And it comes with a crochet chart too. 4. Picket Fence Shawlette by yours truly. My first shawl pattern! Obviously, this is a personal favorite. 😉 It's also great for beginners-- if you can chain and double crochet, you can make this! 5. The Revival Scarf on Make and Do Crew. I'm a huge fan of bobble-like stitches. And the stripes. And the tassels. And all of it. Jess offers both written instruction and a video tutorial. 6. Unfurled Beauty on FurlsCrochet. 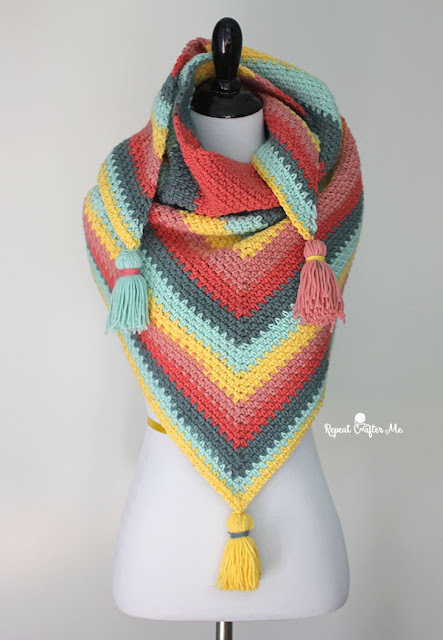 (It takes a bit of scrolling to find the pattern) I absolutely love the stripes on this one. The different widths and asymmetrical slant play so well together. 7. 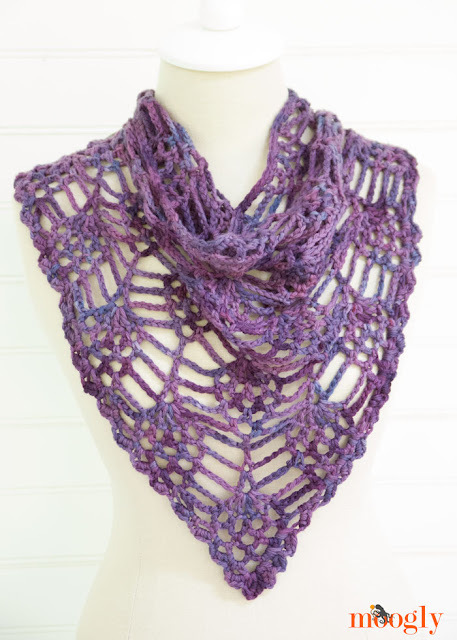 Berry Harvest Bandana Cowl on Moogly. Yes, another pattern from Tamara. I very recently made this shawl and was surprised by how easy it was. 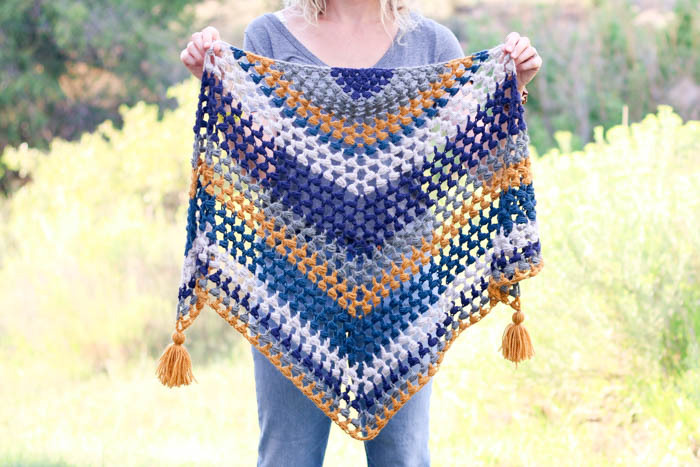 If you do run into any trouble, Tamara has both a video tutorial and a crochet chart. 8. Moss Stitch Shawl on Repeat Crafter Me. I've seen these shawls everywhere lately. 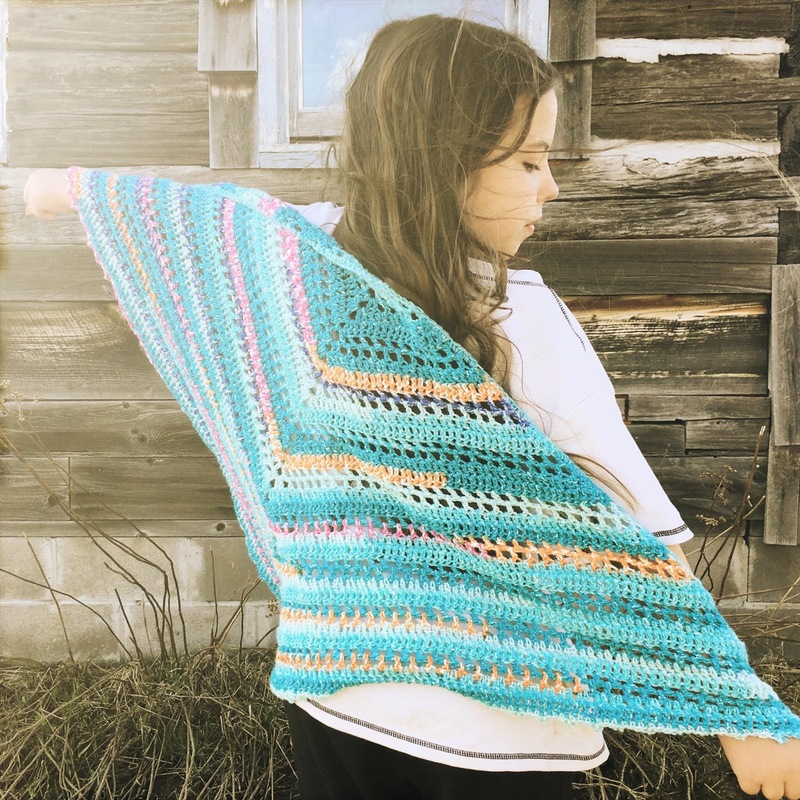 Sarah is just so good at writing patterns so if you've never made a shawl before, her pattern is a great place to start! And there you have it! 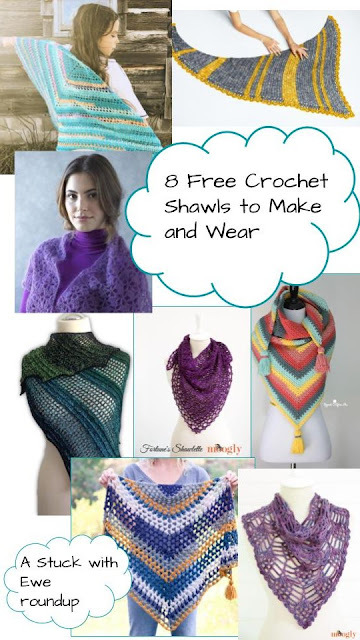 8 fantastic free shawls. If you enjoyed this roundup, be sure to check out Stuck with Ewe on Facebook and Ravelry. Believe it or not, I started this in June. I thought it would be a good early-summer-so-sometimes-it's-chilly-at-night piece. But summer came and went and it still never got finished. Then I thought it would be a good transitioning-into-fall piece. But here it is! If you're wondering why that's because this Kimono is over 12,300 stitches and made with almost 1500 yards of yarn. You read that right. Fifteen-hundred yards. So I feel slightly vindicated in this delay. 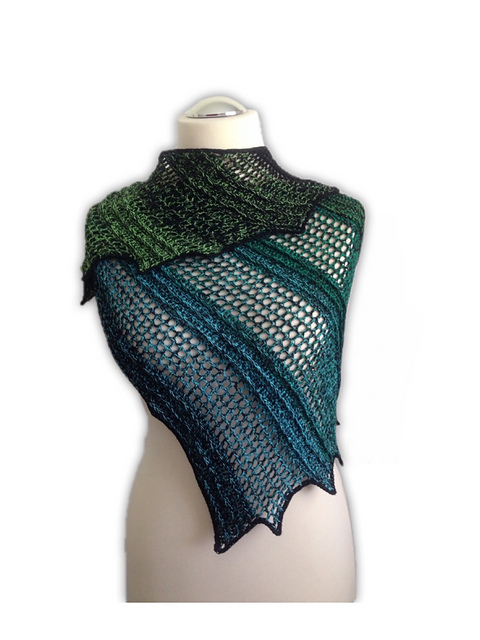 I considered waiting for a more seasonable time to release this pattern but decided against it. I've worn it quite a few times and always get tons of sweet compliments. I hope you enjoy it! Before we get into the pattern, let's talk about the Diamond Stitch. This was a difficult list to compile. I have so many crochet bloggers who have inspired me and am always adding new ones to the list. If I were to name all of them, it would take me days. With that in mind, I decided to tell you about eight of them, in no particular order. Now we can ooh and awe and pin all their patterns together. Click on the name of the designer to visit their blog. 1. Tamara Kelly of Moogly. Tamara releases a new pattern almost every week, complete with left and right-hand video tutorials and charts. She covers almost everything crochet and organizes a yearlong CAL running for its 5th year in a row. She's a super crochet lady for sure. 2. Sarah Zimmerman of Repeat Crafter Me. Sarah has a unique way of writing patterns that just makes them so much easier to understand. She has lots of patterns, particularly colorwork ones, all of which are lovely. Always well written, always beautiful, and often with video/photo tutorials.